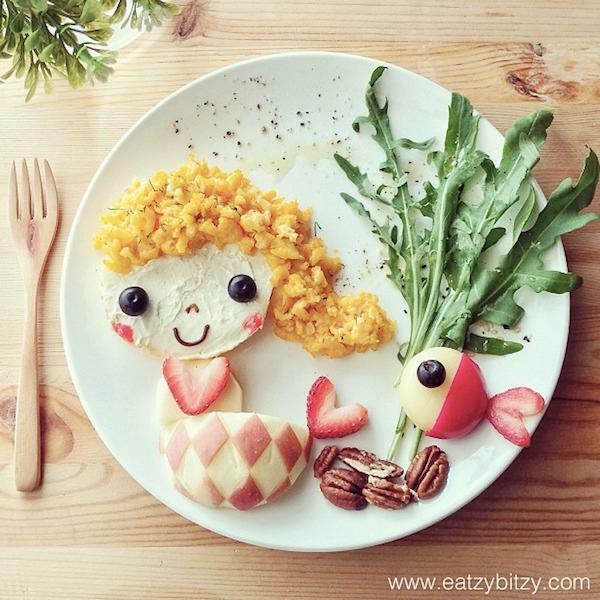 These amazingly creative and colorful food decoration ideas turn healthy food for kids into food art that tells a story and fascinates children, encouraging them eat vegetables. 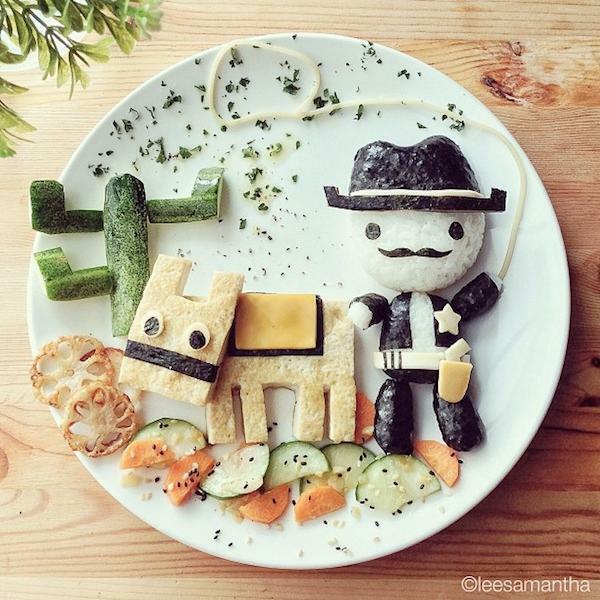 If your child prefer a cake, sweets and pizza and no amount of begging, pleading or bribery will get him or her to eat healthy food, your creativity and inspiring food decoration ideas from Samantha Lee can help you. 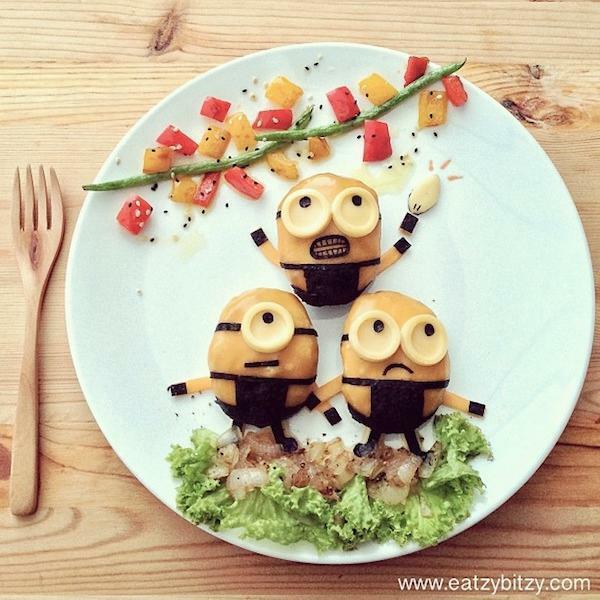 Attractive food decoration turn ordinary food into interesting and even more tasty without changing ingredients. 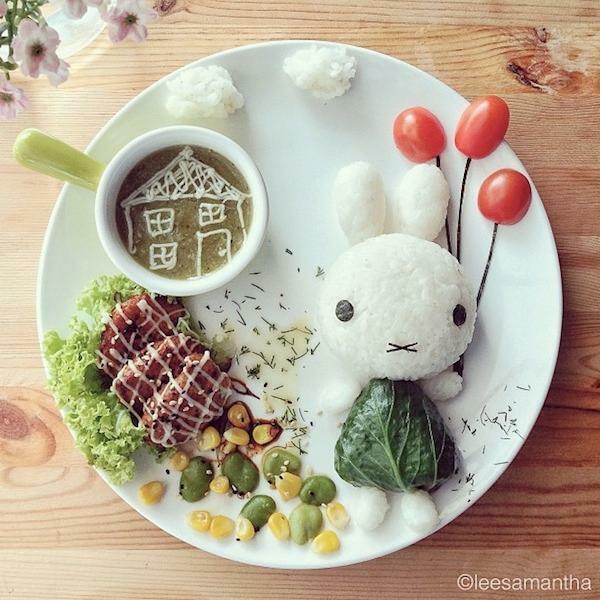 Children and adults eat with their eyes, and attractive food decoration help kids to learn eat healthy food and enjoy its benefits. 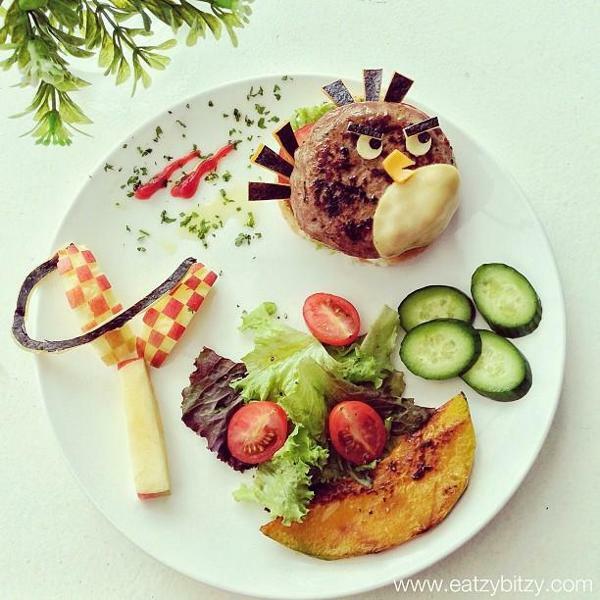 Next time you make a meal for your kid, try adding something interesting, a funny design, bright color and unusual details to it to surprise your child and make him or her eat healthy food. Once the meal is creatively decorated, it gets approved, making a child interested in revealing the hidden ingredients and eating all pieces. It is a win-win situation, when your child eats vegetables that tell a story or look funny, scary and simply unusual. You can create pleasant associations with healthy food, and your child eats vegetables which are great for his or her health. 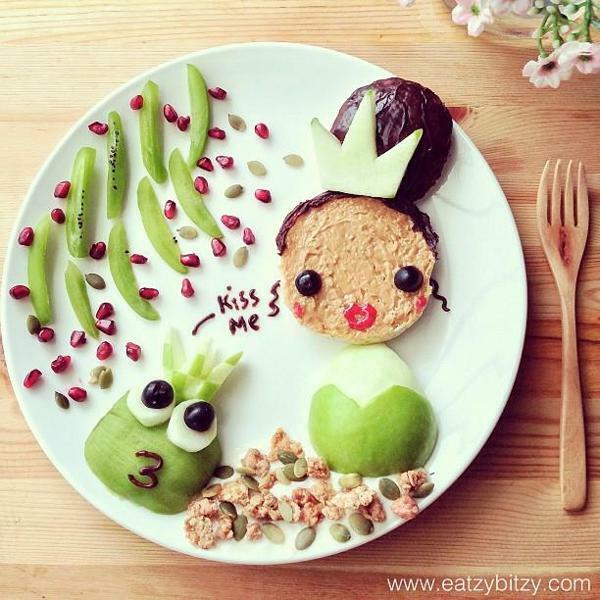 Associating vegetables with funny characters or interesting stories is a great way to create food decoration for kids and get your children eat healthy food with enthusiasm. 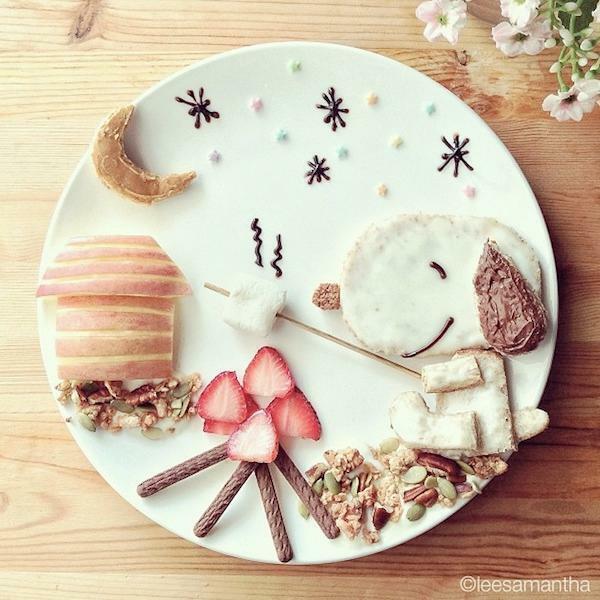 You can make stories up about the food, personalizing food design on a plate. Anything unusual and creative will make a bog change in eating habits. 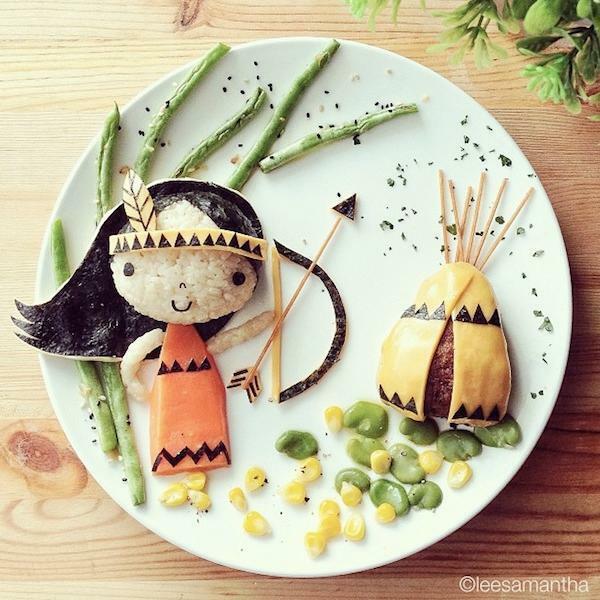 Here is a few amazing ideas from Samantha Lee, that are wonderful, original and inspiring. 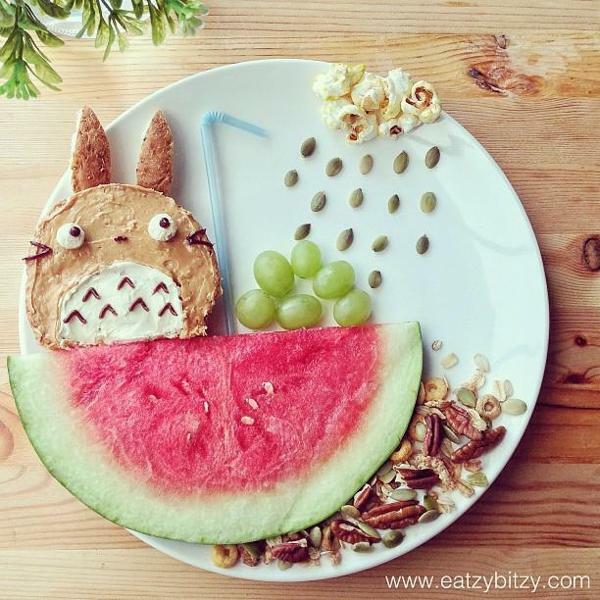 The possibilities of creating attractive healthy food design are endless, and as long as you make food decoration and eating fun, your child will enjoy eating healthy meals. Allowing your child to choose his or her favorite food is a great way to get your kid to eat it. By creating interesting food decoration and offering a selection of healthy food you can make sure that your child eats healthily while learning about healthy eating options. 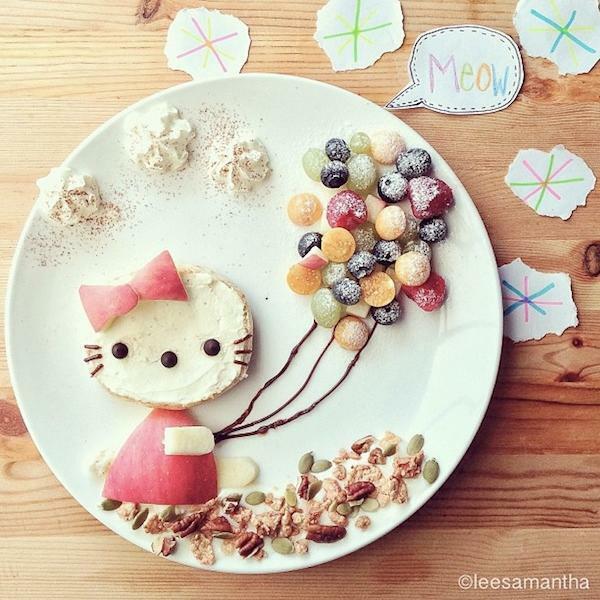 There are many ways to encourage your children to eat healthy food, and creative food decoration ideas are one of them. If you can make it fun, your kid will be much more likely to enjoy healthy food choices and strengthen new healthy habits.